Upcoming exhibition including work from new studio member Clare Lyons. Opening on the 4th of May as part of the PhotoIreland Festival at OPW Rathfarnham Castle. 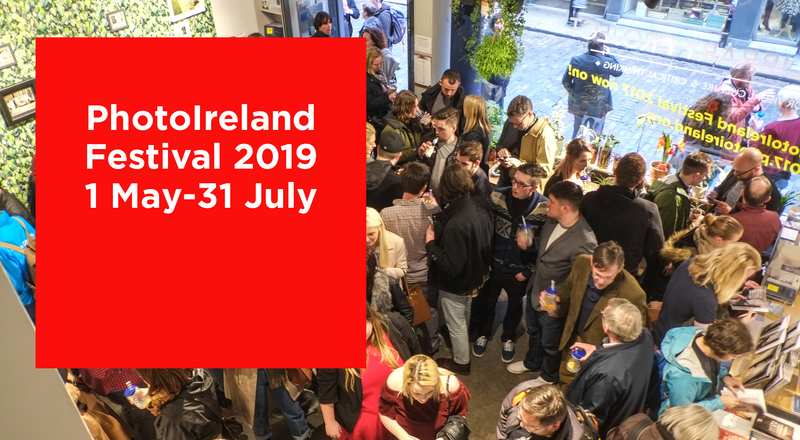 Please see the PhotoIreland Festival website for further information. Our newest studio member and winner of our 2018 Graduate Award Oliva Normille will be exhibiting as a part of the Burren College of Art EIARA exhibition Interface! The exhibition runs at the Burren College of Art from January 31st – February 21st, after which it will move to 126 Galway..
We are currently inviting applications for studio membership. Ormond Studios supports the development of arts practice through affordable studio provision, a central location in close proximity to galleries and other cultural spaces, critical discourse and space for occasional events and exhibitions. Members have access to shared studio equipment and use of the Ormond project space. Personal spaces are roughly 2 x 2.25 metres, with 24 hour access. As a non‐hierarchical space run by and for its eight member artists, each member has an equal vote on governance and takes on a role with operational responsibility. Rent is €110 per month, including utilities. A space will become available on December 1st, or earlier through negotiation. Expressions of interest in joining an artist-led studio space should be sent to ormondartists@gmail.com. Applications should contain (1) a CV (two pages max) (2) a letter of interest articulating your reasons for joining an artist-run space (300 words max) and (3) 10 images of work/links to moving image works/website.